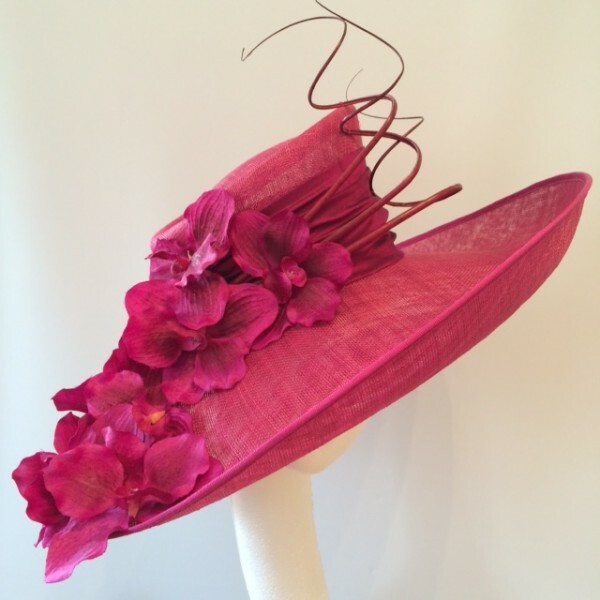 Lovely Magenta jewel tones in this wide brimmed hat with hand curled quills and orchids. 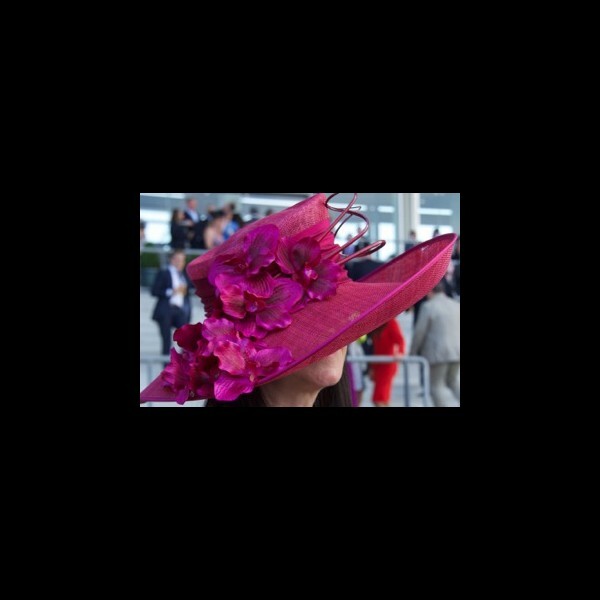 This hat is for HIRE. 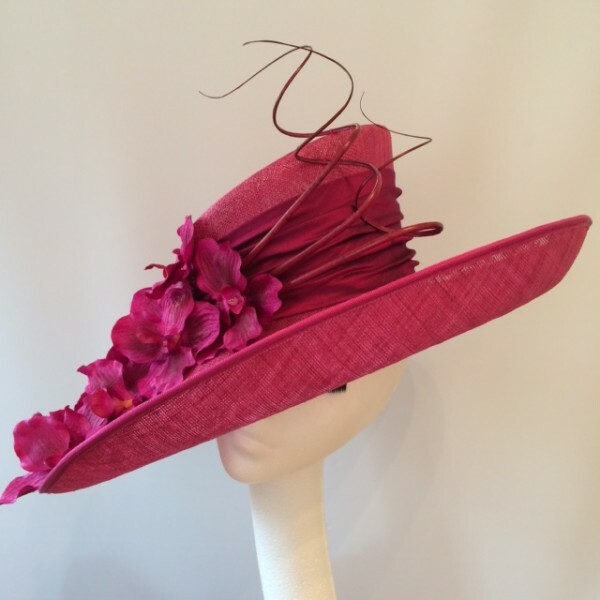 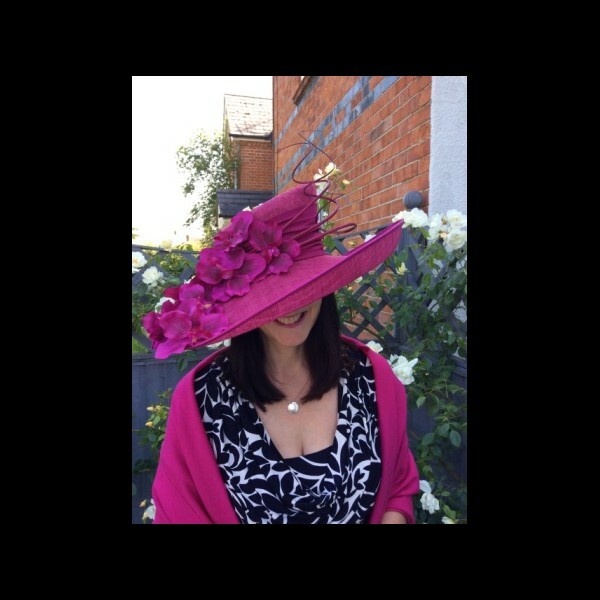 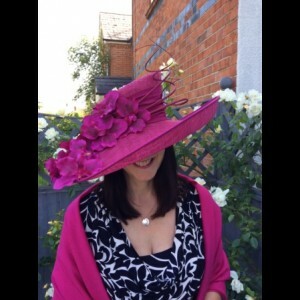 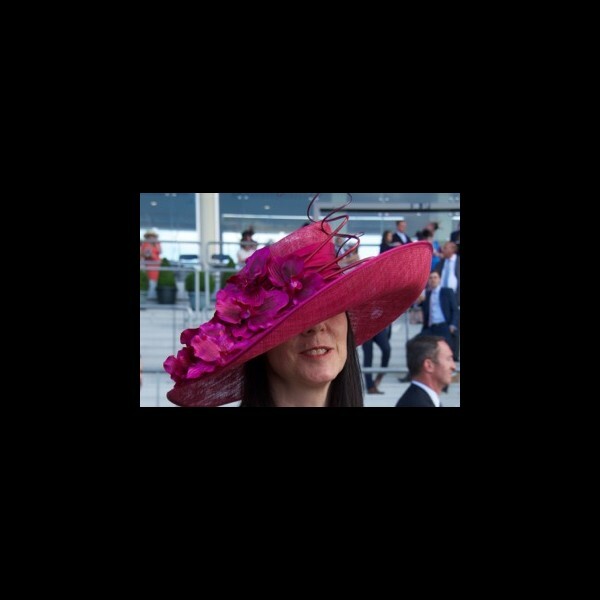 A gutter crown with a large wide brim in striking Magenta coloured sinamay. 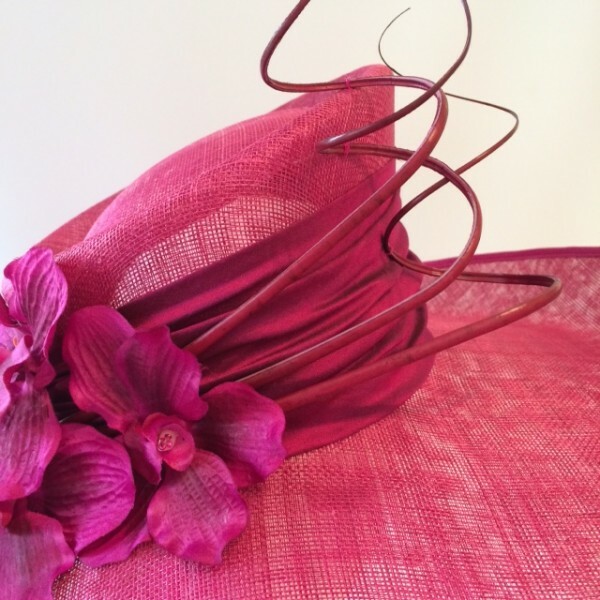 A matching ruched silk crown band, 3 hand curled quills and beautiful orchids.